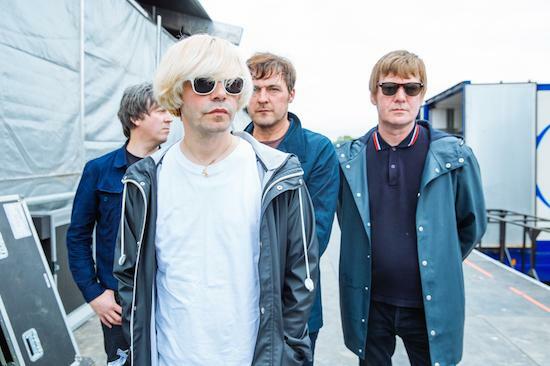 The Charlatans have called upon a long list of special guests for their new album, Different Days, with contributions from Johnny Marr, Paul Weller, Sharon Horgan and many more all featured within. The Verve's Pete Salisbury and New Order's Stephen Morris feature on the album's opening track, while Factory Floor's Nik Void provides backing vocals to the following track. Sharon Horgan also provides backing vocals on the album, while Ian Rankin lends a spoken word introduction to another of the tracks. Johnny Marr and Anton Newcombe provide their talents elsewhere on the guitar, as well as the organ in Newcombe's case, while Paul Weller has a co-writer's credit on the closing track. The album saw The Charlatans' four core members open their doors up to collaborators initially out of necessity following the passing in 2013 of founding drummer Jon Brookes. Initially enlisting The Verve's Pete Salisbury to play drums, they then invited others to add ideas to the album until they were left with a wide array of collaborators. Different Days will be released on May 26 and will play The Lowry in Salford on May 26 and Liverpool's Soundcity on May 28. The album is available to pre-order here.